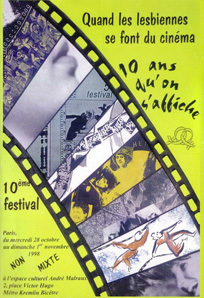 For the 10th edition, the poster of the festival was designed by Cineffable. went to Marine Place for Corps Vision. The CEL from Marseille has attributed a prize of 5 000 F to Cecilia Neant-Falk and Nina Bergström's Väninnor - berättelser från garderoben (Companions – Tales from the Closet) (medium-length documentary, Sweden, 1996). 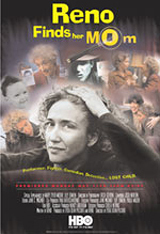 by Donna Clark was awarded the Lesbia Magazine Prize of 8 000 F.